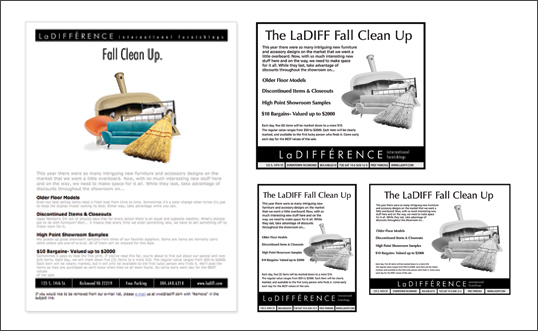 Project Details: This campaign for LaDiff was cheeky and to the point. 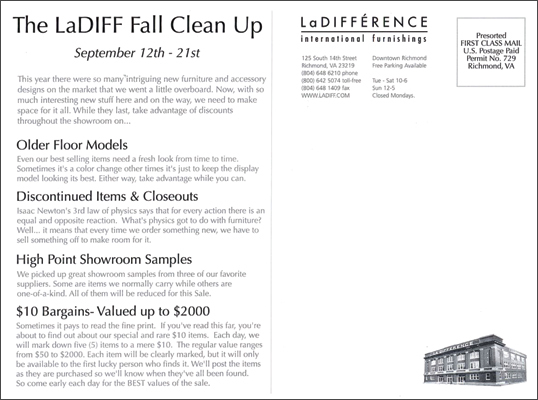 LaDiff was having a “Fall Clean Up” sale but didn’t want the customer to perceive the merchandise as being any less cool or hip than any item they would ordinarily find in their awesome showroom. 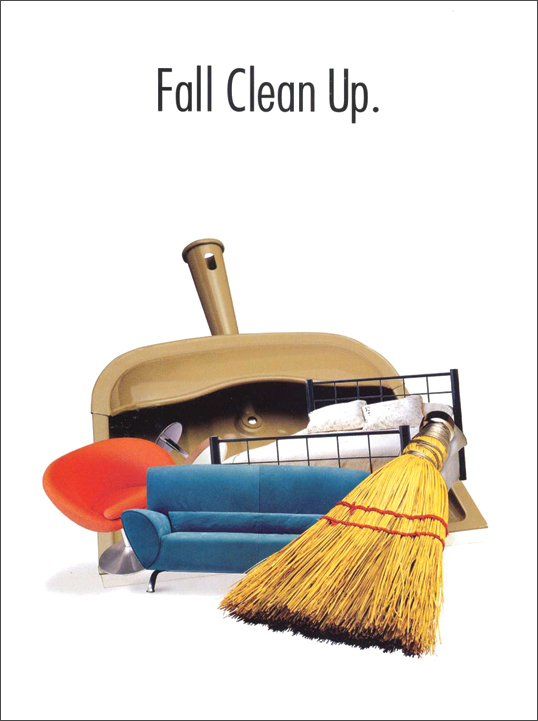 The ads got the point across quickly and in a visually humorous way while still letting the customer feel that the items in the sale were some of the same cool pieces that they had come to know and love.